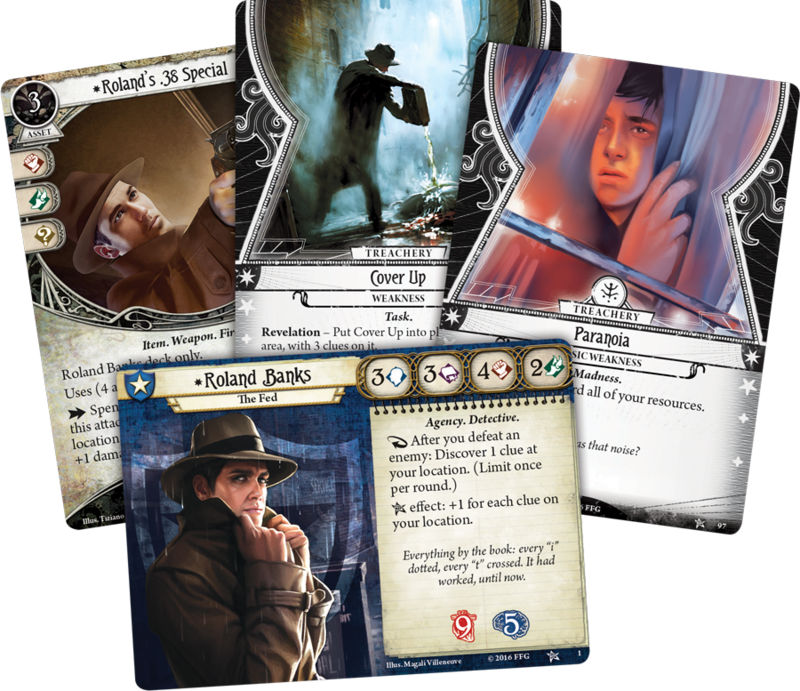 In Arkham Horror: The Card Game, you become one of the game’s investigators, complete with a unique set of strengths, flaws, and personality. You build your deck with cards from one or more of the game’s five classes, and these represent the different resources you might access during your adventure—flashlights, knives, magnifying glasses, obscure tomes, shotguns. You might also discover new talents or convince an ally to accompany you. However, even though you’ll be fighting monsters that defy explanation, you’ll still be all too human. You only have two hands to hold objects. You have only one neck and one body. And you can only grasp a finite measure of arcane knowledge. Beyond all this, you’re flawed, and you’ll be forced to add a personal weakness into your deck, along with other cards that may represent your fears or other ghosts from your past.